Tem uma garagem privada e fechada, áreas verdes, localizadas na estrada para Santiago. Perto da praia, onde existem atividades diferentes. Loved the apartment. Great space in incredible views. The apartment was absolutely wonderful with gorgeous views from all the rooms along with a delightful little kitchen. Our stay was a great experience overall as both the beach and main San Sebastian are within walking distance. Tolles Apartment mit atemberaubenden Blick über San Sebastian! Moderne Einrichtung! Der einzige Kritikpunkt ist dass die Kücheneinrichtung nicht ganz sauber war. Vermieter wird dies aber in Ordnung bringen. Er ist sehr nett! Schöne, stylische Wohnung mit traumhaften Blick auf Stadt und Strand. Garage ist praktisch. Strand rasch erreichbar, für Altstadt kann Bus oder Taxi genommen werden. Manko: zu wenig Geschirr für eine Wohnung welche für Familien bis 4 Personen vermietet wird. Great apartment, fabulous views, great time. Helpful host. Property was lovely and spacious, clean and comfortable. Stunning views and 5 mins down the hill to the beach. 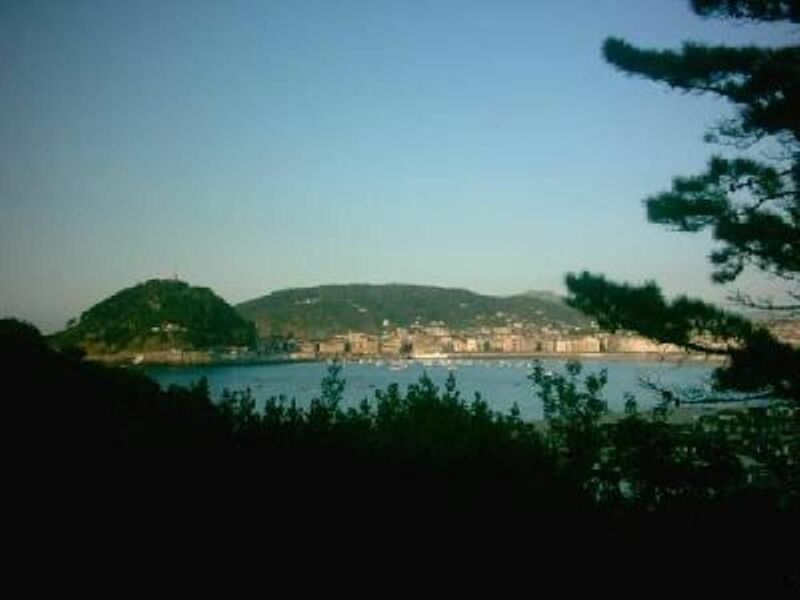 great 2 bed-2 bath apartment with fabulous views and close to Ondarreta beach. Owner was very responsible and helpful- recommended! A piscina não está disponível.